Join yoga teacher, meditation coach, reiki practitioner and self-proclaimed crystal enthusiast, Kate Van Horn on a 5-day retreat in the picturesque hills of Costa Rica. Situated in the tranquil Atenas, Costa Rica, our retreat center evokes a sense of calm enriched by the teaching of our leader, Kate. You also have the option to extend your trip and enjoy the picturesque beaches and hills of Santa Teresa. We will have movement and wellness practices available daily, optional excursions and time to reflect on our time together. DAY 1: wed, dec 4 ::: WELCOME TO COSTA RICA! Settle into your perfect accommodations. Arrival at the Juan Santamaria International Airport (SJO) in San José. After passing through immigration you will be met by a member of the National Chamber of Tourism (CANATUR) who will give you a sticker that will facilitate you clearing customs. As you exit meet a transport representative for your transfer to your retreat destination. In the afternoon, our tour leaders will lead us in afternoon yoga and meditation before our first group dinner. We’ll create a beautiful dinner with fresh foods from the local farmer’s market and the onsite garden. We will have snacks available for morning risers, followed by a morning stretch and yoga session before a leisurely group breakfast. Later we visit the local farmer’s market with our resident chef. Learn all about local crops and pick your favorites for tonight’s dinner. Return to the hotel and participate in a Cooking Class where you’ll learn to make great meals using local ingredients from the hotel’s orchard and the local market. We'll enjoy a group dinner before a relaxing mindfulness practice. Enjoy picturesque views of the mountains and sea in the distance. Early risers enjoy a morning snack, followed by a morning stretch and yoga session. After sitting down for a group breakfast, we’ll make our way to Jaco beach. We’ll stop at the famous Tarcoles River, where we have the opportunity to view crocodiles in their natural environment, some of them measuring up to 19 ft. long. We then continue to vista Los Sueños Zipline Canopy Tour, which is designed not only as an extreme adventure, but a way to enjoy nature without harming the environment. 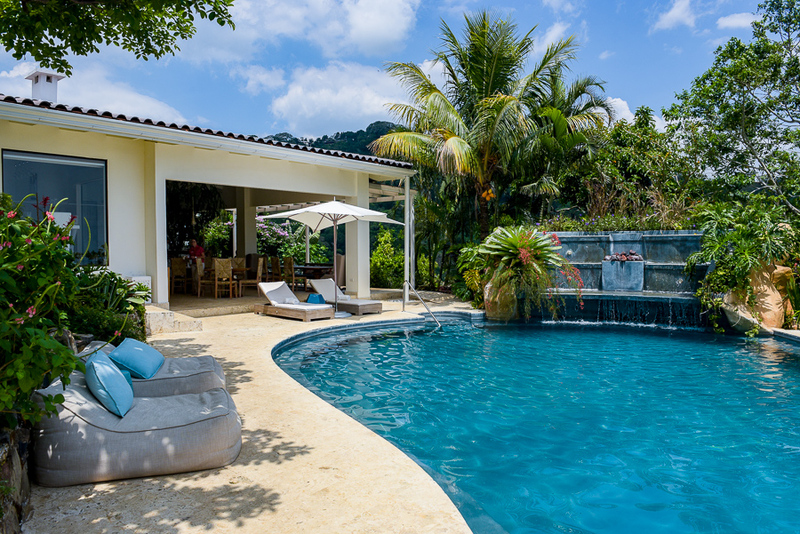 The property boasts spectacular views of Herradura Bay and Island, and the Nicoya Gulf. After reaching the mountain summit via tractor, and a safety lesson by the bilingual guides, we will descend to the bottom via a series of zip lines, including 12 platforms and 10 cables with a total cable distance of 2 miles, including the longest cable in the area at 2400 ft! We will wrap up the day with a Horseback Ride to the waterfalls. We’ll return to the hotel for dinner followed by an opportunity to enjoy a relaxing yoga class before bed. There is plenty of time for self reflection and relaxation on property. Enjoy a morning snack if you rise before the group, followed by a group yoga and meditation before breakfast. We will then drive to the trailhead for a guided hike and refreshing swim at the Goldmine Waterfalls. We return for lunch and the rest of the day is at your leisure to relax and enjoy the swimming pool and the amazing views. We’ll have an available afternoon yoga class, followed by our final group dinner. Evening Meditation before bed. Early risers enjoy morning snacks before a final yoga practice. We then enjoy a final breakfast before saying goodbye. We’ll transfer to the the airport for your international flight, or opt to extend your stay and experience more of this wonderful country. The Retreat is a transformational wellness center, literally “Heaven on Earth”, where people can come to escape the chaos and stresses of their lives and take an opportunity to reset their internal sense of balance in a nurturing and gentle environment. The 11 Deluxe Rooms, Junior Suites and Casitas at The Retreat seamlessly merge the beauty of our setting with the luxury aesthetics and amenities of a boutique hotel. 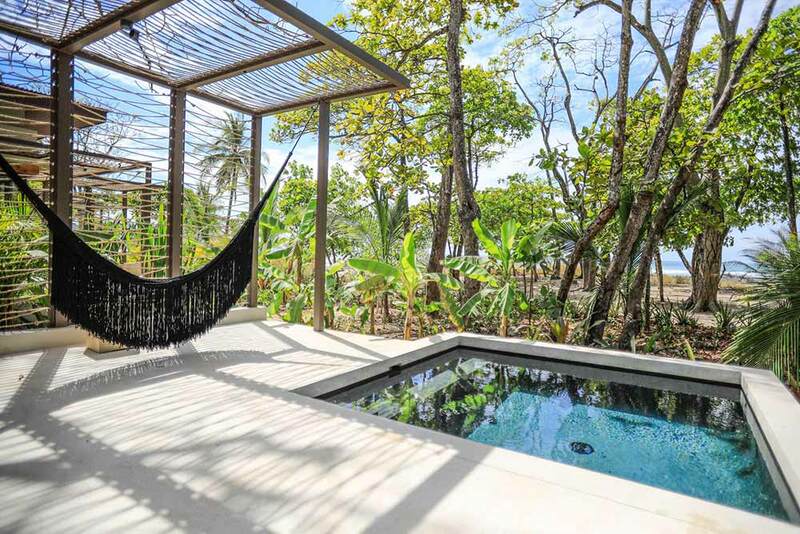 A peaceful and tranquil oasis that welcomes in the beauty of Atenas, Costa Rica, each accommodation is a retreat for relaxing and disconnecting amid the sensory pleasures of deluxe, high-thread-count sheets, organic cotton bathrobes and King or Queen pillowtop beds. All Rooms, Suites and Casitas feature spectacular garden or mountain views and locally inspired design touches. The soothing rhythms of nature and the spectacular views offer a wondrous backdrop, whether you’re being pampered at the Spa, decompressing in the steam room, disappearing into a good book by the pool or savoring organic, garden-fresh cuisine that will completely redefine your notion of how flavorful and satisfying healthy food can be. With its warm waters under a bright tropical sun, Santa Teresa is the perfect location to round out our Costa Rica adventure! We'll put all of our hard earned balance to the test on the waves of the Pacific and have the opportunity to explore lesser known areas of the nearby hillsides via ATV and even have a chance to zipline in Mal Pais. Nantipa Hotel combines a series of distinct features that makes the hotel unique in Costa Rica. Nantipa is the only boutique, luxury beachfront hotel, with independent bungalows and direct access to the vibrant surfer beach town with a plethora of options for dining out, shopping and nightlife. Nantipa combines world class design with authentic Costa Rican hospitality right on one of the country’s top beaches. The vibrant and unique natural setting and the barefoot luxury feel of Santa Teresa provide the perfect setting to deliver unique and memorable experiences. Nantipa offers 15 guest bungalows and suites scattered in a 5 acre property with 500 feet of beachfront. Most rooms feature full or partial ocean views, along with garden and pool views. After enjoying breakfast in your hotel, meet your driver for your transfer from San Jose to Santa Teresa. The drive time is approximately 5 hours including ferry boat across the Gulf of Nicoya. Upon arrival at your hotel, enjoy a refreshing welcome drink and settle into your well-appointed room. Enjoy this afternoon exploring the beach, take a dip in the pool or opt to get in a workout with your fellow travelers. And don't miss the picturesque beachside sunset! Surfing the Pacific (half-day): After a leisurely breakfast, get ready for a half day surf lesson. We'll be met at the hotel by our local surf instructor who will take us to the best surf breaks, depending on tides and weather. After on-sand instructions, we hit the water to tackle the waves. Whether you are an expert surfer or first-timer, our instructors offer the expertise needed to ensure you have a great time. After a couple hours in the water, we'll return to the hotel for lunch. Opt to join the group in a group yoga class or opt to spend some time on your own. Zipline Mal Pais Zipline from one tree to another on one of the most beautiful zipline’s in the country, enjoy the view of the landscape from a unique perspective being on top of the trees of the forest. ATV Tour, Visit Montezuma Waterfall: Take a ride on your ATV through the dirt roads reaching the south side of the peninsula discovering lots of white sand empty beaches. From Montezuma we take a short hike to the impressive falls where you can take a swim in the natural pools and then enjoy a Costa Rican lunch in one of the best local restaurants in downtown where you can also take the chance to shop from local artisans. After breakfast, meet your driver for your transfer to the International Airport in San José or begin your extension to another area. With a minimum of 8 travelers booked, Kate will join us to facilitate yoga and meditation.